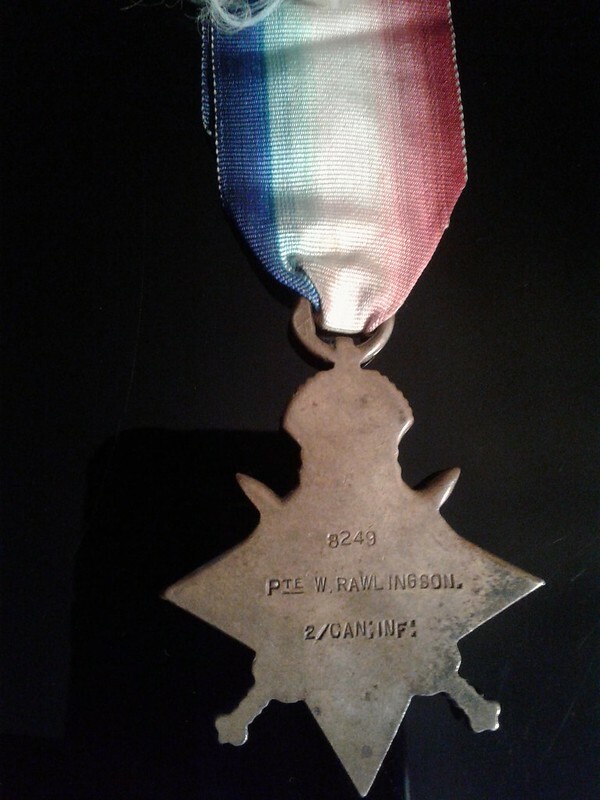 I recently bought this nice 1914-1915 star named to private William Rawlingson #8249 2nd Canadian Infantry. He was born in England and served 12 years previously in the British Army. 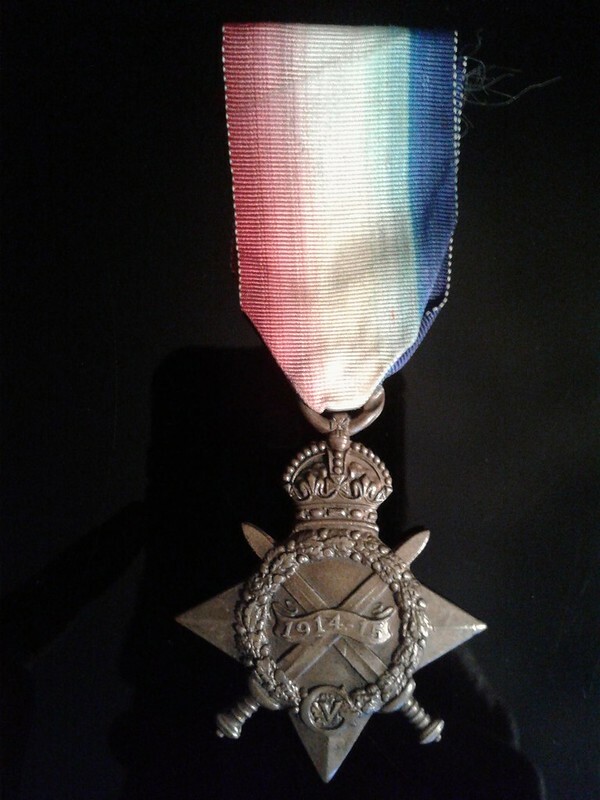 He was shot at Ypres on 23 april 1915 (12 res. battn) and survived but died from an unrelated bowel obstruction in Belleville Ontario in December 1916.